The General Evangelist of Christ Apostolic Church Worldwide, Prophet Hezekiah O. Oladeji will minister powerfully today October 5, 2018 at the Centenary Revival of the church in Port Harcourt, Rivers State. 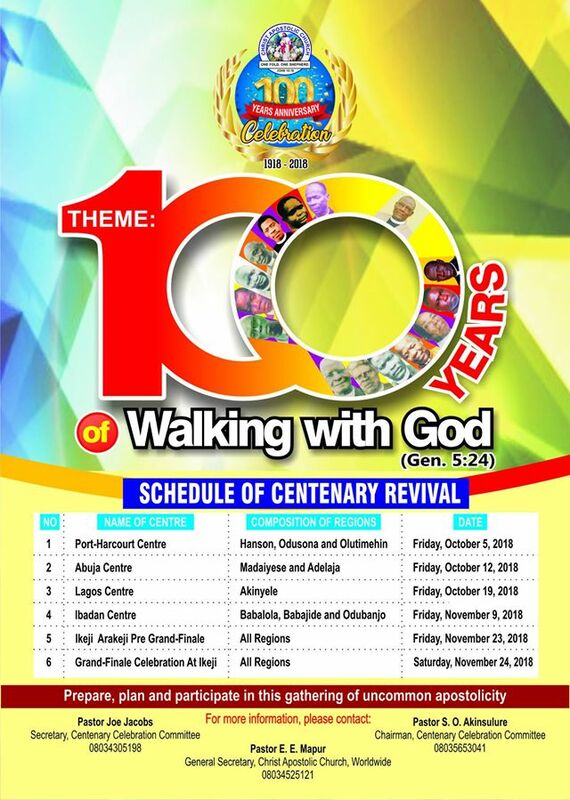 Port Harcourt centenary revival centre comprises of Hanson region (Edo and Delta state), Olutimehin region (Rivers, Bayelsa, Cross River and Akwa Ibom states) and Odusona region (Enugu, Abia, Imo and Ebonyi, Anambra states). 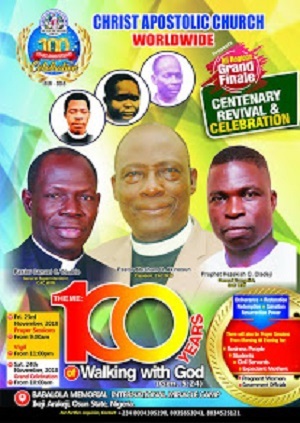 CAC NEWS will be reporting LIVE from Port Harcourt this evening. You can LIKE our Facebook page (CAC NEWS) to get live update.